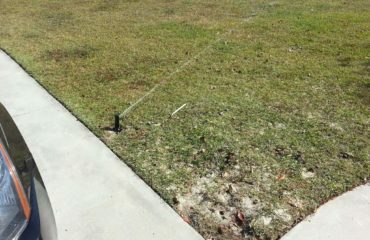 Below is one of our most common foundation repairs in Savannah and surrounding areas. Foundation jacks are used as modern piers on floor joist or floor beams. Chatham Property Maintenance provides foundation jacking in the below photos you will see details of our process. We start with pouring a footing in which our foundation jack will rest. Foundation jacks can be adjusted over time to compensate for additional settling. One of the reasons we use foundation jacks is the ease of installation and the foundation jacks can also be adjusted over time. The most common product we use is cinder blocks and shims with a properly poured concrete footing. Looking for Foundation Repair Contractor in Savannah? 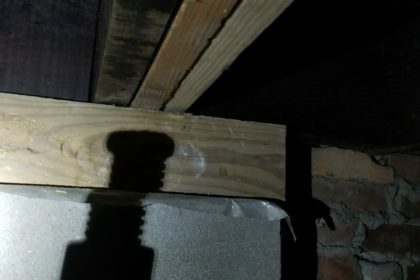 Let us a Chatham Property Maintenance help you with your crawl space repairs. If you are looking for a quality contractor we are the company you are looking for. Since 2009 we have repaired numerous house foundations throughout Savannah. Call or text 912-988-3832 or fill out our contact form here for free consultation.